Cozy Winter Home Essentials You Should Stock Up On! Cozy Winter Home Essentials You Should Stock Up On! 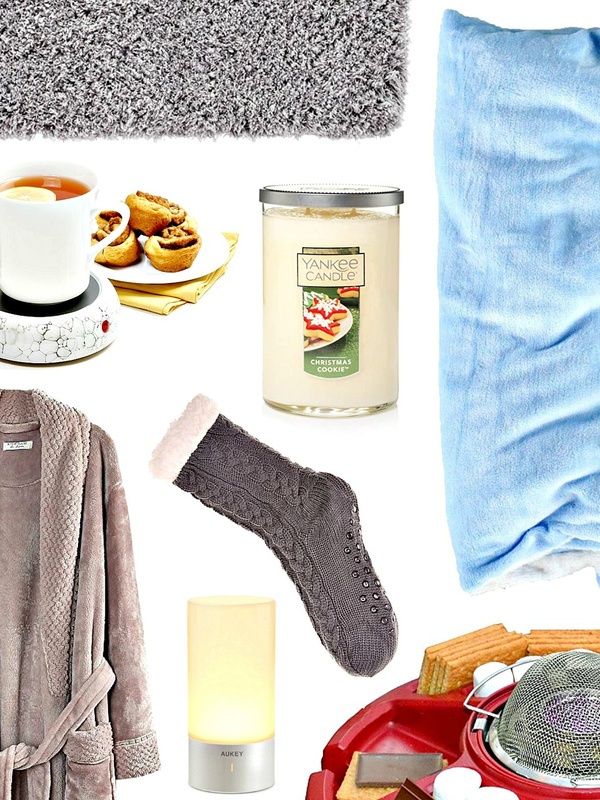 Cozy Winter Home Essentials You Should Stock Up On! Is winter not your favorite season? The colder temperatures, the snow, the long, dreary days where your skin is holding onto the dream of sunshine and warm breezes. Make sure you’re stocked up on the winter home essentials needed to keep you and your family cozy. Whether or not you love the snow and cold, or you prefer snuggling up in a blanket near the fireplace, these items are a must-have in your winter home. You will definitely love having them! Do you like to start off the day with a hot shower before breakfast on the weekend? One of the most delightful winter home accessories to add to your bathroom is a plush bathroom mat. Who would want that awful chill feeling of bare feet on ice-cold tile? 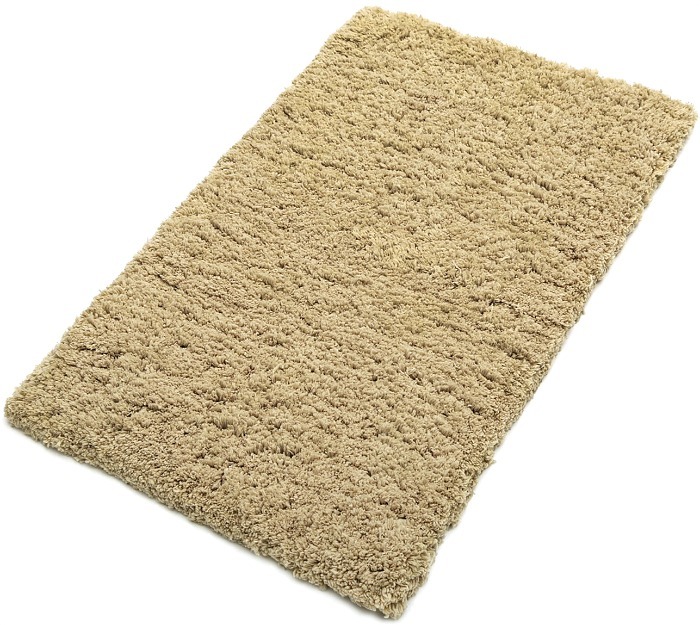 Adding a plush bathroom mat will allow you to enjoy underfoot during fall and winter. • Details: ★★★★ | Available in different colors | Non-slip, machine washable | BUY NOW! • User said: I bought this for the guest bathroom and it is so soft and cozy. I’ve avoided this sort of mat since I didn’t think it would wash easily, but it does. Alone in the front load washer on delicate, air dry, then put in the drier for a few minutes to fluff it. Looks like new! It is rather stiff even after washing, so it will not drape over a bar. Pretty enough to leave down if you have the room. • Details: ★★★★ ( Amazon’s Choice ) | Available in different colors | Non-slip, machine washable | BUY NOW! • User said: I bought two of these for the bathroom. They are super soft and wash up easy. I usually wear slippers in the bathroom because of the cold tile floor, but these make me want to go barefoot! 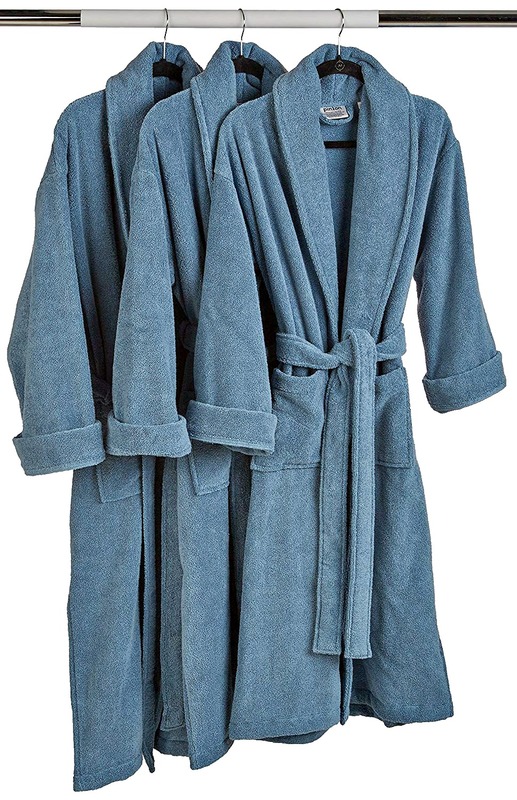 Another bathroom winter home essential is a cozy plush bathrobe. For a relaxing morning during the cold season, wrap yourself in a robe that is made to give you extra comfort and warmth stepping out of the shower, making coffee or cooking breakfast after or just lounging around the house. When creating a cozy winter home, a plush robe is essential. • Details: ★★★★ | Available in different colors and sizes | Highly absorbent and quick drying | BUY NOW! • User said: Love, love, love this robe. It really is plush and luxurious. This robe was the third robe I ordered; the first two just didn’t cut it. Hubby and I wear this at night before getting into our swim spa and use it to dry off after getting out. It’s even plusher than our bath towels. It is thicker so if you are looking for a robe to wear during a warm day, this is not it. It’s actually a winter robe! • Details: ★★★★★ ( Best Seller ) | Available in different colors | Very comfortable to touch and wear | BUY NOW! • User said: I love how soft it feels and how cozy it is to put on in the morning. Although it’s warm, the material is rather thin, just to be aware in case you live in a freezing climate. It’s perfect for chilly Southern California mornings. Chilly floors, you say? Add a pair (or more) of fleece-lined slipper socks to your winter home shopping list. Before heading into your winter home kitchen, make sure to slip on some cozy slipper socks. 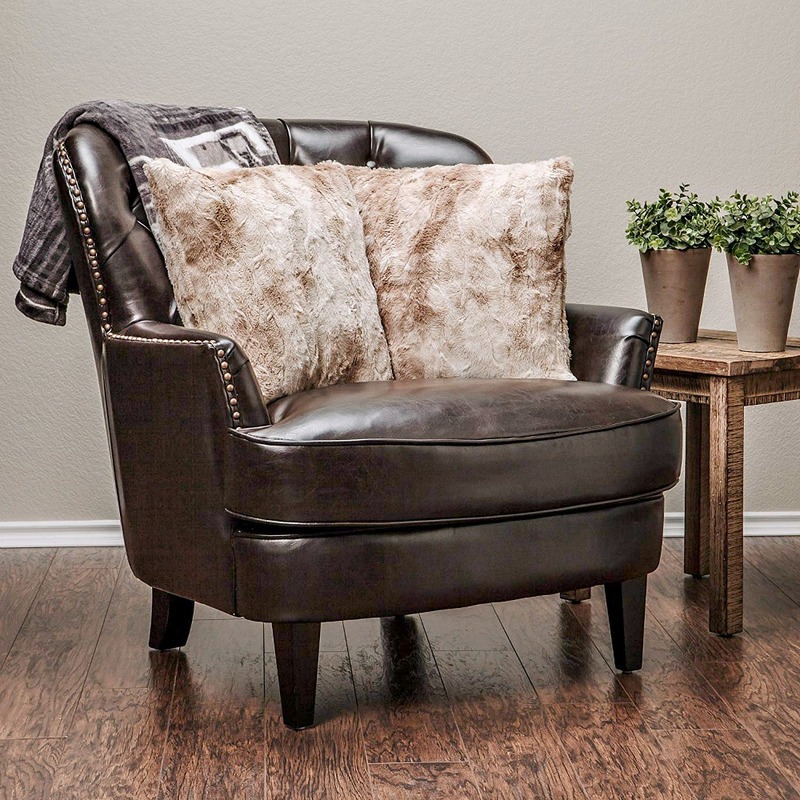 The soft fluffy material will surround your feet in warmth over your chilly winter home floors! Purchase a pair with non-skid soles to make them safe enough to wear around the house all day. 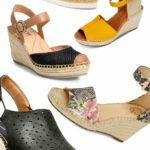 Plus, It will be nice to have them in different colors so you can wear a pair every day of the week making this one of your best winter home essentials. • Details: ★★★★ | Available in different colors and patterns | Non-skid Women socks, fleece line warm winter socks | BUY NOW! • User said: I don’t know about anyone else, but I need a pair of warm comfy socks to sleep in. 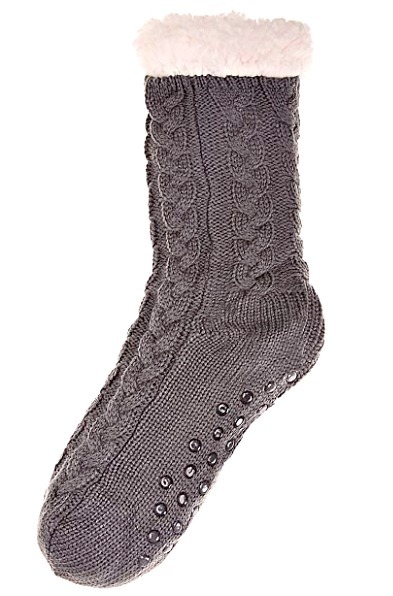 My feet are always cold and these socks are perfect, super soft and make a great gift! 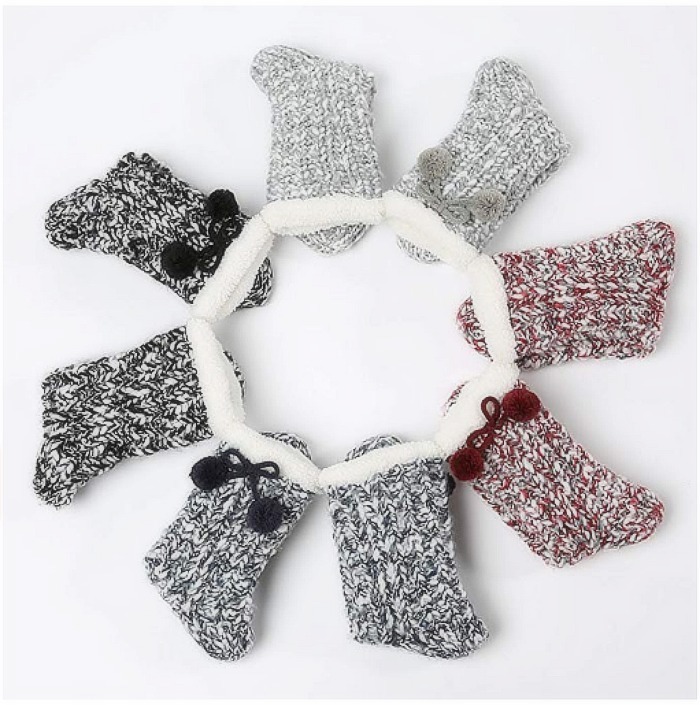 • Details: ★★★★ ( Best Seller ) | Available in different colors | Non-skid Women socks, fleece line warm winter socks | BUY NOW! 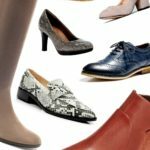 • User said: My feet are always cold and this winter it’s been especially bad. I love these! They are so warm, and the traction on the bottom makes me hate wearing regular socks around the house now. I plan on ordering another pair. I have not washed them yet though so I don’t know how well they hold up after a wash. If you’re planning to lounge on the sofa and watch your favorite morning television programs, fix yourself a hot drink and then use a mug warmer to keep it hot for hours. One of the best winter home accessories is a convenient appliance to keep drinks piping hot, don’t you agree? There’s nothing worse than a cup of cold hot chocolate or tea. 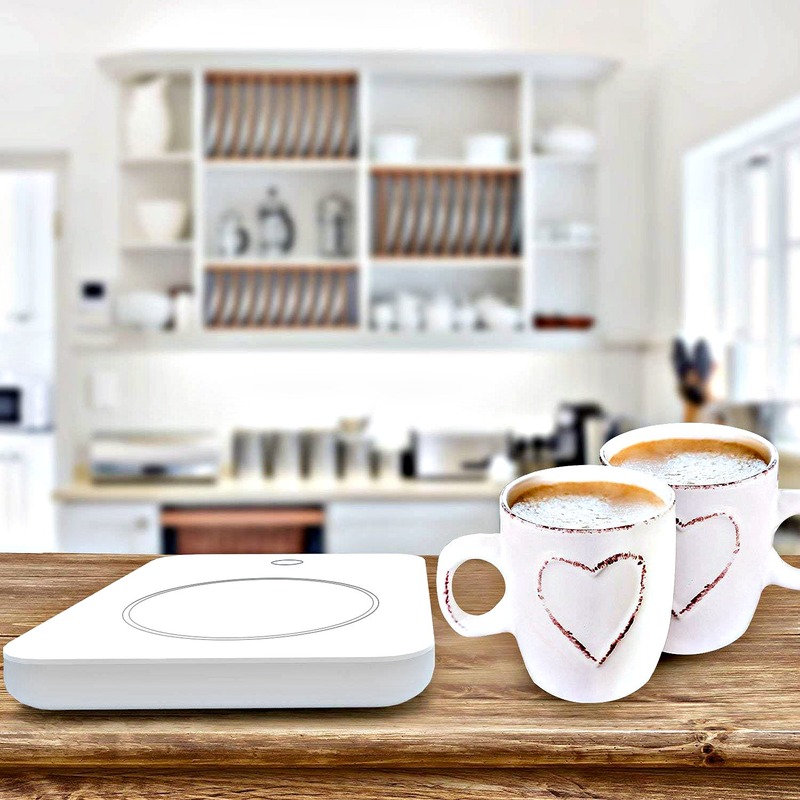 This heated plate will keep your mug warm for hours! • Details: ★★★★ | Auto Shut Off, heat-resistant and fire-resistant, water-resistant plate| BUY NOW! • User said: I have been using my mug warmer for about 2 weeks now and I love the way this keeps my tea warm throughout the day. It prolongs the enjoyment of my hot beverage and much better than running to the microwave several times a day after taking gulp-full of cold tea! • Details: ★★★★ | Great for use at the office, home, dorm and travel, nonstick heating element | BUY NOW! • User said: This mug warmer is terrific! This does not only keep my coffee hot, but it looks nice on the desk too. I should have bought one a long long time ago and I could have saved myself many days of depressingly room-temperature coffee! To create a peaceful atmosphere in your cozy winter home, fill it with your favorite Christmas scents. As one of the best winter home essentials, these candles offer a variety of scents for countless ways to create a calming mood and add the perfect touch to your winter home. • Details: ★★★★ (Amazon’s Choice) | 5 Freshly baked Christmas cookies Fragrance | BUY NOW! • User said: The minute I began buying these Yankee Candle Company candles I realized they burn very clean and burn for about three times the length of a traditional brand. I bought 3 of these and my large apartment smells like a Christmas cookie but not so strong that the sweetness is overwhelming! • Details: ★★★★ | Provides the aroma of a sparkling holiday season | BUY NOW! • User said: This is my favorite holiday candle. No matter how long or how often I burn this candle, I never feel overwhelmed, or catch any of that nasty, chemical, almost-pine smell. Instead, I am reminded of bringing in the fresh-cut greens, baking cookies and pies, the scent and feel of the whole house sparkling and ready to welcome friends and family. 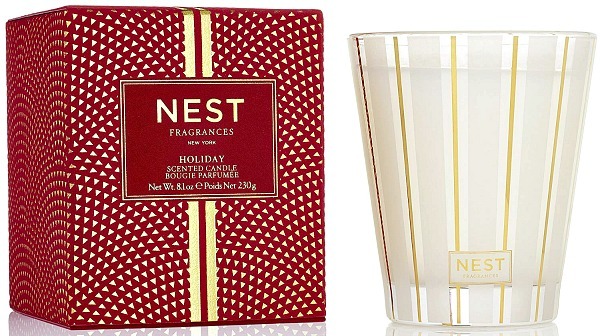 We all love it and consider the scent of NEST Holiday an integral part of our home’s ambiance of Christmas. I give them as gifts, too! Additional winter home essentials are comfy pillows. Surrounding your couch with decorative faux fur throw pillows will not only give a little bit your home an instant luxury but also will give your space a snuggly touch. This is why these pillows are a perfect addition during the winter. • Details: ★★★★ (Amazon’s Choice) | Available in different colors | Perfect for snuggling up | BUY NOW! • User said: It looked the closest to real fur, and the coziest. The material is thin, but it’s excellent quality. The fur is soft and the beige is a great neutral color. • Details: ★★★★ (Best Seller) | 100% Hypoallergenic polyester fiber | BUY NOW! • User said: No complaints! 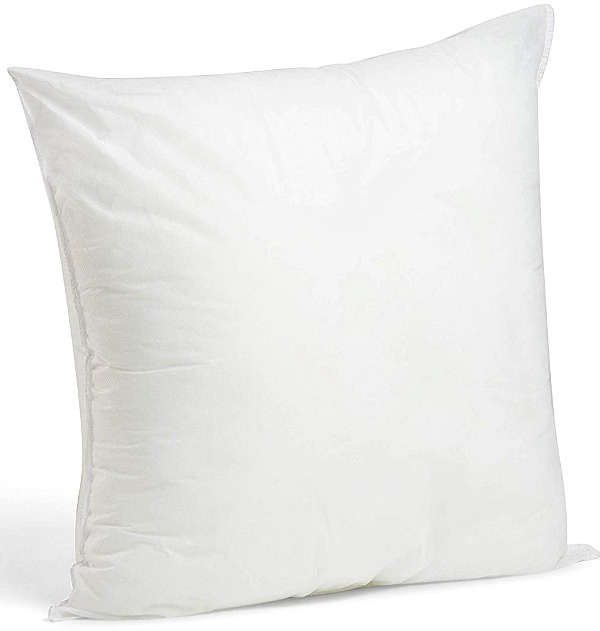 Nice and clean (no smell), fluffy and moldable for comfort, but not so soft that it smooshes down. I followed other’s suggestions so I purchased a 26×26 for an approximately 24×24 cover for a full/fluffy look. After settling down on the couch with your pillows, enjoy even more winter home essentials snuggling up underneath a cozy blanket. I love how these throws not only add a color scheme to the room but also are cozy – talking about a great idea on cozy winter decor. Make sure you have these blankets in several sizes and colors, and all are machine washable because everyone else in your winter home will realize what a great idea it is and then they all want their blanket too! • Details: ★★★★★ (Best Seller) | Available in different colors | 100% microfiber polyester | BUY NOW! • User said: So soft and cuddly!!! It seems very well made and nicely hemmed. And the 2 different sides (one furry and the other super-soft and zig-zag pattern) are great. When I’m not using it to cuddle and keep me warm, I use it as a decorative cover over my Cedar Chest, so that it looks more like an accent piece in my Living Room. The zig-zag pattern makes it look a little bit 2-toned, so it really adds a bit of style! • Details: ★★★★ (Best Seller) | Available in different colors | Velvet blanket reverses to plush faux fur for extra warmth | BUY NOW! 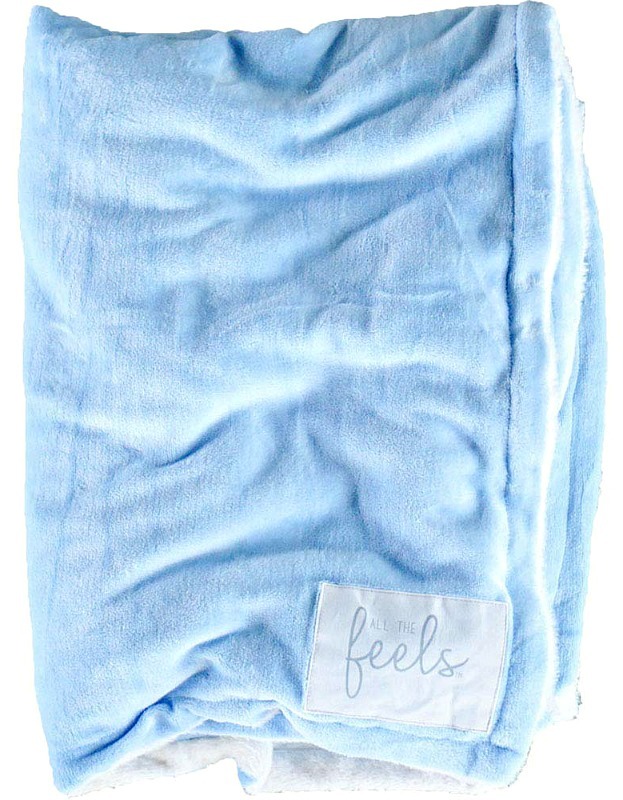 • User said: I have ordered 6 of them and these are the softest want-to-take-a-nap blankets ever!!! It may feel like it’s thin but it’s cozier than you can ever imagine once you unpack it from its cute wrapping. It’s like being hugged by a cloud!!! I hardly ever leave feedback but this item so deserves it. 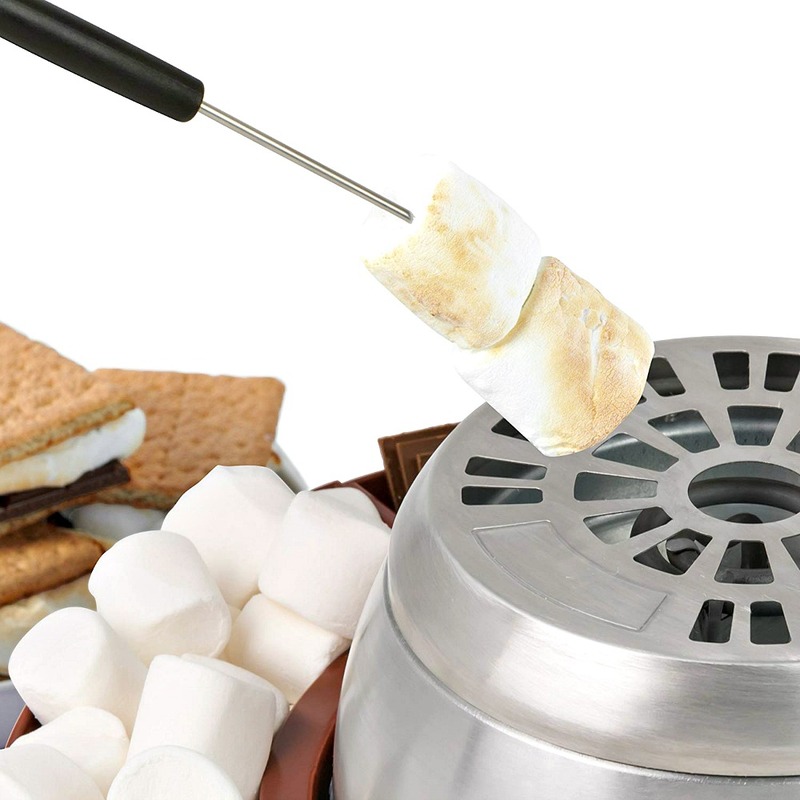 When you start feeling a craving for chocolate while lounging and enjoying the night in your winter home, make sure you have an s’mores maker handy. Winter home essentials like this will quickly warm up your marshmallows in a stainless-steel housing to create mouthwatering desserts and snacks INDOORS! A great way when s’mores and family gathering is wanted but there is no access to an open fire. • Details: ★★★★ (Amazon’s Choice) | Durable stainless steel housing and top cover | BPA free | BUY NOW! • User said: My husband and our 5-year-old daughter love to do sleepovers a couple of times a month. We live in Arizona, so during the summer, it is much to get to light a fire under the backyard. This is a great alternative. They can sit up to the kitchen table and make smores! This would be great for kids birthday parties, sleepovers, or just a fun family night. This is right up there in neatness, as the home popcorn machines. 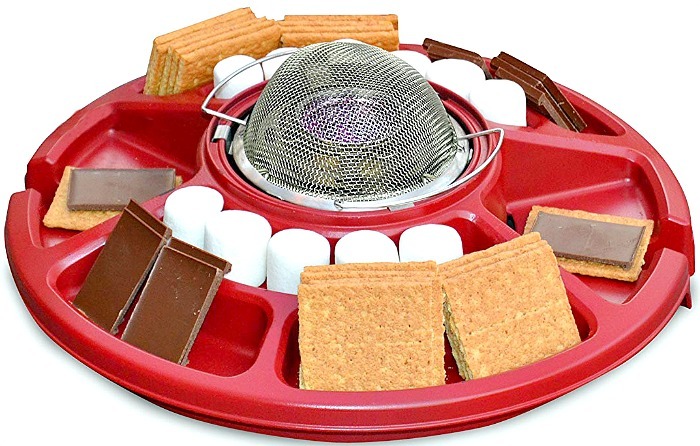 • Details: ★★★★ | Features two built-in s’mores making stations | 100% microfiber polyester | BUY NOW! • User said: Finally I can have roasted marshmallows indoors or without building a fire outside! Make sure if kids are using that you use the flame guard on top as we had several kids drop their marshmallows and this protected the heat can from being ruined. Cozy Winter Home Essentials For Your Winter Blues: Lights, lights lights! We need light to feel energized and happy. Unfortunately, we don’t get much of this during the long season of gloomy winter weather. 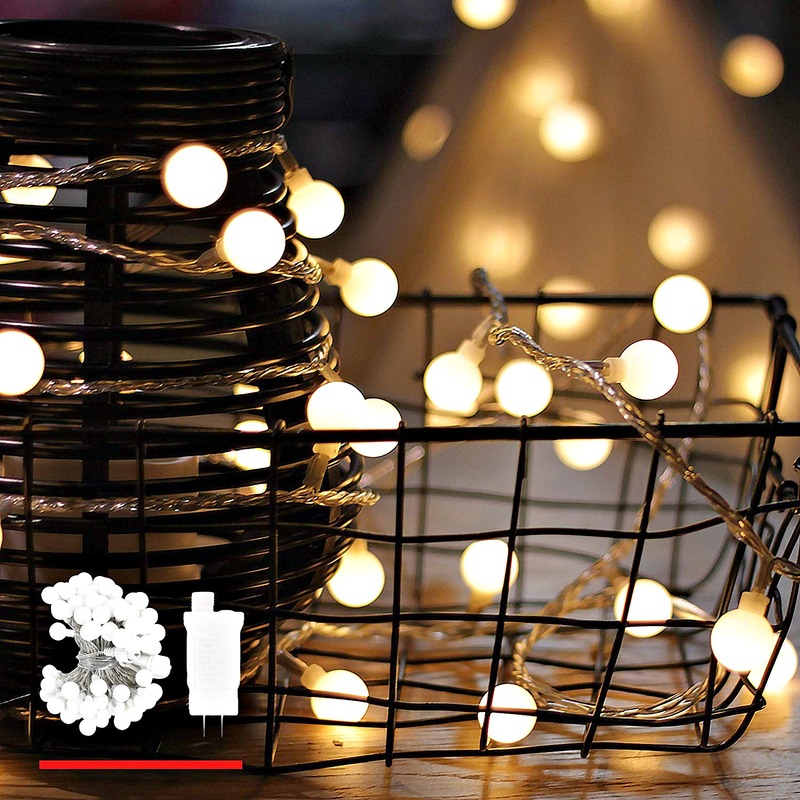 To lift the mood of your home to feeling warm, bright and cheerful until the return of spring, consider adding dimmable table lamps and fairy lights when decorating your home for winter. • Details: ★★★★ (Amazon’s Choice) | Perfect for Christmas, Wedding, Party, Room Decoration, Porch, Garden, Gazebo or Balcony | BUY NOW! • User said: I LOVE these string lights. First off- THEY TWINKLE!!!! They have like 8 different light settings and a timer. They were easy to hang up on my deck and I love them so much I am going to order a few more sets! 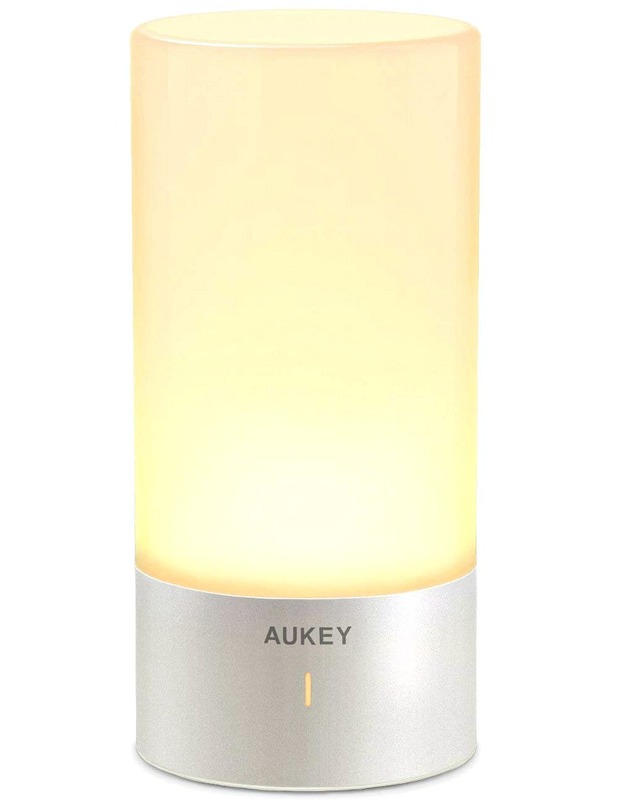 • Details: ★★★★ (Best Seller) | Touch-activated table lamp |Three brightness levels of warm white light | BUY NOW! • User said: I love this cute table lamp. It makes feel relaxed when I turn off the room lights every night. I would recommend it as a bedside light because it’s so easy to turn on and reverts to the light mode you last left it in. It will show you different colors automatically. If you want to keep the white light, it also allows you to do so. 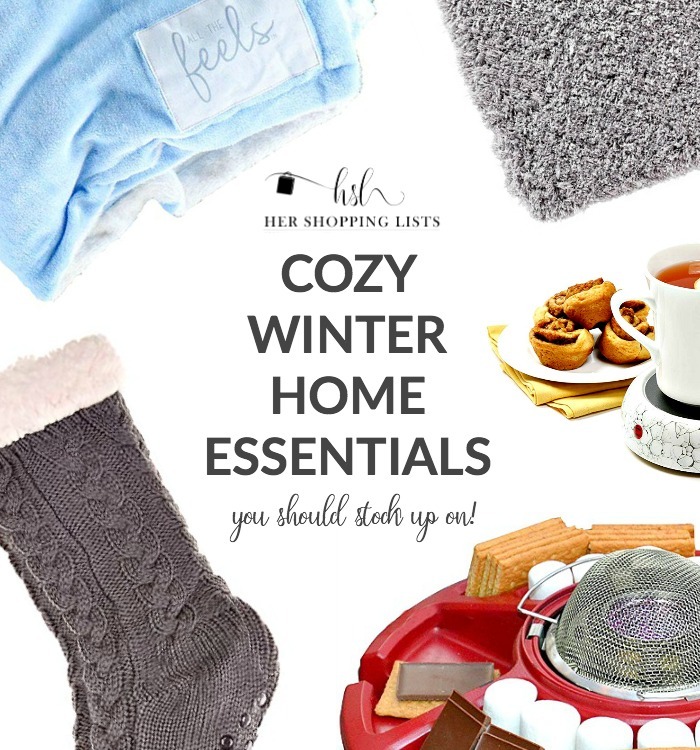 If you’re stuck at home while the chilly air and snow are blowing through the trees, these cozy winter home essentials will help keep you warm and comfortable from the start of your day to the very end! What have we missed? Do you have anything to add on this list of cozy winter home essentials? Please comment below! **Disclosure: Actions you take from the hyperlinks within this blog post may bring in commissions for this site. All products are used not for recommendation but for inspiration only. Pssst! Do you find this post useful? 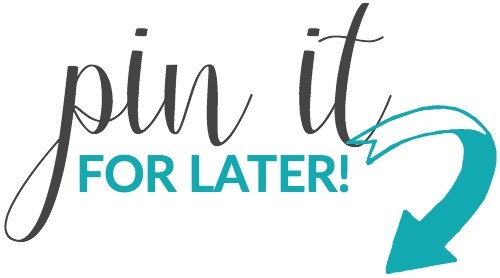 If you do, please share and sign up below to get updated each time. Thanks for dropping by! 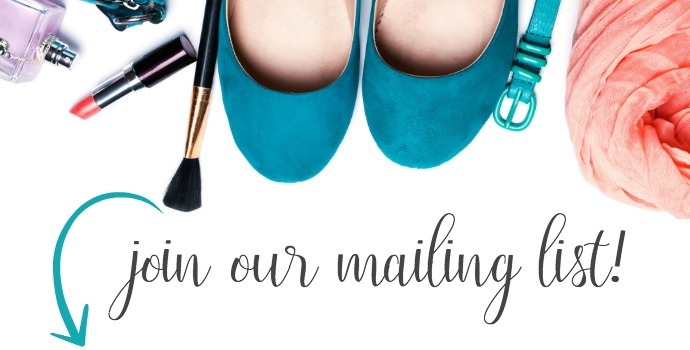 Please note that any products featured are for editorial purposes only, unless otherwise stated. Most of these are affiliate links which this site will earn a commision if you click them to purchase the products. Your price will not change, but this helps keep the free content flowing. Thank you for all your support! 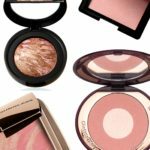 Best Shimmery Blushes That Kiss Highlighters Goodbye! Best Swimsuit For Mom That Provides Body Confidence Like No Other! 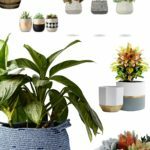 Best Pots & Planters To Get Your Spring On! 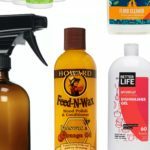 Best Chemical Free Cleaning Products For A Safer Home – Be Worry-free! 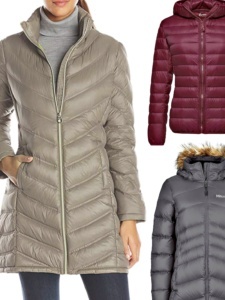 Womens Puffer Jacket: What, Where, How to Shop For The Best!